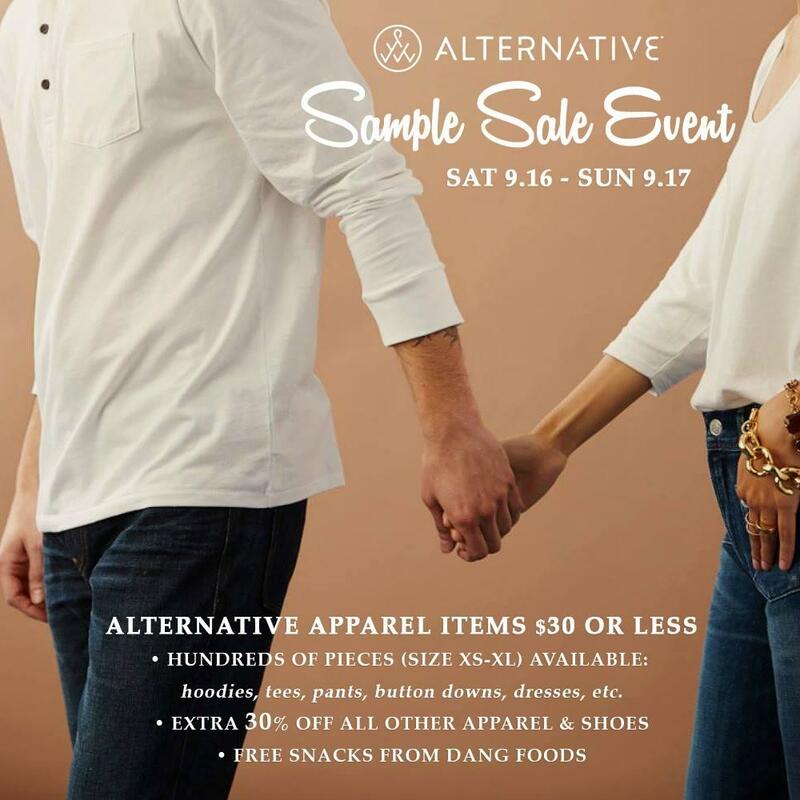 Shop Alternative Apparel at $30 or less at this sample sale event hosted by retailer Cary Lane, happening at all three of their store locations - in Mission, Hayes Valley and Irving. Expect items in all sizes (XS to XL) including hoodies, tees, pants, button downs, dresses and more - plus Cary Lane will be offering an extra 30% off all other apparel and footwear. And did we mention free snacks from Dang Foods?